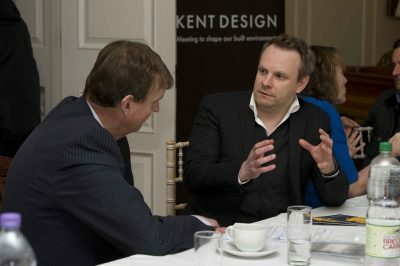 This roundtable brings together local authorities, housebuilders and consultants to ask how far proposals in the government’s white paper will go to fixing the housing market in Kent and Medway. We will be providing a platform for members to outline their responses to the government’s consultation but also to explore the proposition in the White Paper that the public’s relationship with house building is, at least in part, responsible for slow delivery. We will start by asking if it is true that we are failing to plan for new housing because of a fear of public opposition? Are the public really so dissatisfied with new housing? To what extent are Neighbourhood Plans part of the solution? How do we change public perceptions and involve local people in the design of new neighbourhoods and settlements? Are planning policies and guidance, including design codes (strongly promoted in the White Paper) part of the solution? Jane Briginshaw and Andy von Bradsky will be starting the roundtable discussion. Jane is a Public Policy and Thought Leader specialising in design policy development, building standards in government departments and government agencies, championing quality for housing and planning. Andy is the Founder and Director of von Bradsky Enterprises, a consultancy that specialises in housing, place and regeneration, supporting excellence in the design and delivery of more and better homes for all. The roundtable will be chaired by DSE Director, Chris Lamb and will use the Chatham House Rule.